The Perch has opened up at The Aviary – Perth’s newest cocktail bar tucked away under The Aviary’s stairs on Murray Street. Fly by The Perch for a quick drink; a perfect place if you’re waiting for friends, making a pit-stop between shopping and even for cheeky after work drinks. The Perch serves up delicious bar eats including lasagne croquettes, super crunchy fries, wasabi peas and red curry popcorn just to name a few. Located on William Street outside the Perth Underground station, the location couldn’t be more convenient. 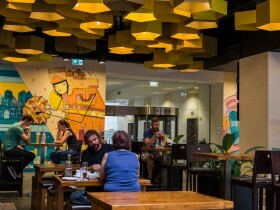 Open Wednesday – Thursday from 4pm- 9pm, Friday – Saturday from 2pm – 10pm and Sunday from 12pm – 8pm, relax in the alfresco seating area and enjoy the hustle and bustle of the CBD with a cold one in hand. We slid into the weekend early with 140THURSDAY on July 14. 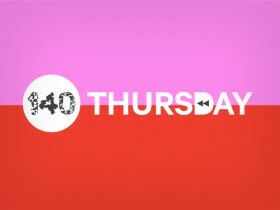 Each month 140 will be throwing back and celebrating all things retro. This month, we played with giant games; Connect 4, Jenga, Chess, Pick Up Sticks, Quoits, Scatter and Lego. Visitors enjoyed $5 street food from some of our favourite retailers including The Globe, Max & Sons, Roll’d, Brotzeit, East Village, BamBamBoo, The Aviary, Ribs & Burgers and Koko Black. They danced along to 80’s beats with DJ Mishtee and spun 140 yo-yo’s. Thankyou to all who came down and celebrated with us. Keep an eye out for our next date in August! See you then. To see all the 140 THURSDAY pics, click here. From hot and sour soups, simple noodle dishes to delicious dumplings. BamBamBoo serves up all you need to have a sumptuous Chinese feast. 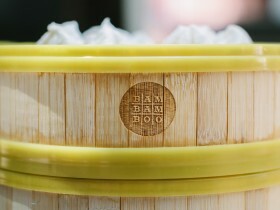 BamBamBoo is famous for it’s variety of delicious dumplings and dim sum. While those bamboo baskets and small plates hold all sorts of steamed and fried delicacies, dumplings are the undisputable stars of the show. Every region of China gives these little parcels of delectable their own twists. In Shanghai, it’s a custom to dip steamed dumplings and juicy buns in vinegar before eating. In northern China, with its colder climate, the preference is for heartier fried dumplings. Fried, steamed or boiled, BamBamBoo love them all. Their fillings include prawn and pork, with wrappers made from both rice and wheat flour dough. View the entire menu here. Take a peak into their kitchen which can be viewed from the restaurant and watch the chefs at work. BamBamBoo is located on Railway Lane and is open Monday to Thursday 11:00am to 8:00pm. Friday 11:00am to 9:00pm. Saturday: 11:00am to 8:30pm and Sunday 11:00am to 4:00pm. 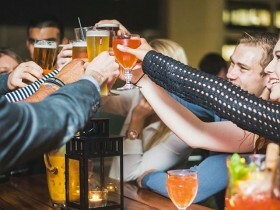 Although we love a bite to eat at The Globe Bar or Eatery, The Globe Lane is the place to be if you are wanting to try an experimental cocktail or three. The Lane is a small cocktail bar, a part of the multi-venue space at The Globe, offering a contemporary space to enjoy after work drinks or a night on the town with friends. Begin with a light Kaffir & T, followed by a Lotus Potion. 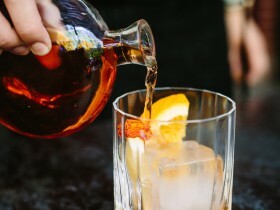 Try a hearty Tuscan Smoked Negroni and round off with a classic Don Pedro or a famous Lemon Meringue cocktail for dessert. See a full list of cocktails here. The Globe Lane is open 11am until late every Monday – Friday. Enter off Murray Street next to Jamie’s Italian. 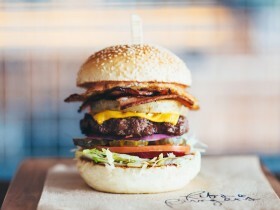 140 Perth are excited to announce The Globe Bar and Eatery has joined Perth’s most electrifying food and beverage precinct. 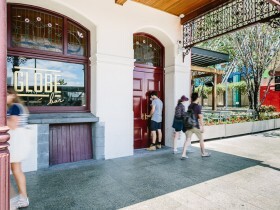 The Globe Bar and Eatery is a modern reinvention of the historic 1880’s Globe Hotel, re-establishing itself as the social hub it once was for the people of Perth and its visitors. Influenced by its proximity to the railway, the buildings were once a statement entry to the City of Perth. It is now a new multi-venue space with three unique areas; a bar with tiered terrace, eatery and laneway lounge. The Globe is located on Globe Lane off Wellington St. Open 11.00am to 12.00am Monday to Sunday, the iconic bar and eatery will be serving lunch and dinner. Welcome to the 140 family The Globe! 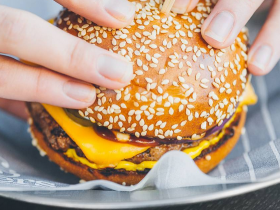 The latest edition to join Perth’s most exciting food and beverage precinct, 140, is Ribs & Burgers, a meat lovers institution. Ribs & Burgers will be firing up their open flame grill at the first Western Australian location on Friday 26 June 2015. The unique chargrilling techniques of Ribs & Burgers originate from the South African way of barbequing – braaing. With a focus on creating a comfortable environment with service that makes you feel at home, Ribs & Burgers use real ingredients – chicken is free range and beef is grass fed, hormone, antibiotic and steroid free. The result is slow cooked, melt-in-your-mouth ribs and succulent burgers with a signature pink sauce. To learn more, visit Ribs & Burgers or keep up to date on Facebook or Instagram. What the Flip! 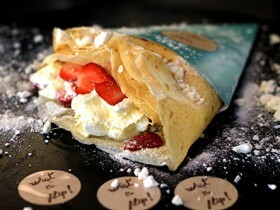 is rolling in the best flippin’ crepes you have ever had at 140 for the month of May. What the Flip pump their food full of fun. Starting with the fundamentals of crepeology to guarantee something that you crave; then they offer some extras so you can cre-ape your own crepes! They have also come up with some unique creations to quench your culinary curiosity. No matter which you choose, you will not be disappointed! What the Flip are located on Globe Lane next to Max & Sons trading Tuesday to Friday for an early breakfast, lunch and sweet delights. I’ve been watching the evolution of 140 with great interest since I attended a media event in 2013 that shared the ambitious plan to develop an exciting retail and dining precinct in the area bounded by the Murray Street Mall, Wellington and William Streets, connected by the city’s original laneways. I think the project’s delivered on the promise and created a vibrant, visually stunning space that keeps surprising and delighting with its interesting tenants and striking artworks. The next eatery to open at 140 will be Ribs and Burgers, with an open style kitchen where meat will be chargrilled using techniques derived from ‘braaing’, the South African way of barbecuing. Thanks Cynthia for the review. To find out more and to follow the Food Pornographers adventures click here. Easter is just around the corner and what better way to celebrate with family and friends than indulging in a sweet treat or two? 140 is home to the chocolate lovers paradise, KoKo Black where you can enjoy a rich hot chocolate, share a dessert degustation or take some of their handcrafted chocolates home. Plus 140 has a number of other venues where you can relax and enjoy the long weekend. 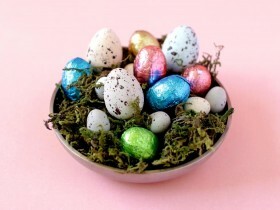 To find out when each of your favourite places are open this Easter long weekend click here.